A relationship trend we've noticed recently has current partners sharing a warm relationship with their partner's exes! Case in point: Deepika Padukone, Ranveer Singh, Ranbir Kapoor and Alia Bhatt are in a twisted love rectangle. But such bonds don't exist everywhere, right? However, a trio that does not fall in the 'friendly exes' category would be Kareena Kapoor Khan, ex-boyfriend Shahid Kapoor and his wife Mira Rajput Kapoor. Kareena and Shahid have buried the hatchet over the years and even starred in a film together - Udta Punjab. But the ladies aren't really friendly with each other. Remember the time Mira took a subtle dig at Bebo? 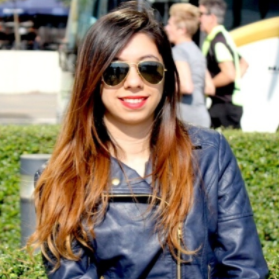 Mira said, "I had a tough pregnancy, I went through those 5 months of difficult times to bring my daughter into this world. So now I want to spend every moment that I can with her and I think there is a set of responsibilities around my plate and I feel at my age I have a lot more energy, I have my future ahead of me, so I can finish all of my responsibility and I have nothing in my way. I can raise my daughter, I can be a good wife. Nothing will stop me after that. I love being at home, I love being a mother to my child, I wouldn’t want to spend one hour a day with my child and rush off to work, why did I have her? She is not a puppy; I want to be there for her as a mother." Not only did she receive flak from netizens about her careless comment but Kareena also gave a befitting reply. "What kind of a mother I am is something that will unfold with time. I will not scream from rooftops about experiencing motherhood or how much I love Taimur. There’s always the pressure of being judged, no matter what you do. It’s about how you deal with it. Every pregnancy and every mother’s journey with her child during those nine months and afterwards is different. You can’t draw parallels. No one out there really knows me or what I am feeling at a given time. How can anyone decide on my behalf whether I am supposed to feel depressed or if I can step out before 45 days? If I’m spoken about like that, what would it be like for other women?" 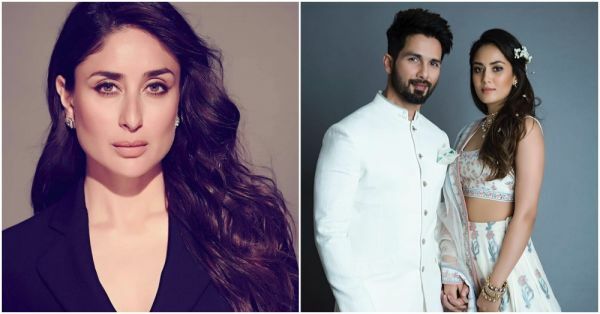 Trying to cash in on this cold war, makers of the popular dance reality show Nach Baliye approached Kareena to co-judge the ninth season of the show with Shahid and Mira. The theme of this season will be slightly controversial and spicy. The makers of the show are planning to bring together exes, and also have the pairs perform together. That explains why they approached Bebo, along with Shahid and Mira. However, Bebo might have turned down the offer. A source reported, "The channel approached Kareena's team to discuss the possibility of her doing Nach Baliye but things didn't work out as Kareena already has several movies in the pipeline. Besides, she did not want to do television at this stage and the concept in itself did not work for her." It would have been fun to watch this trio. What do you think? Let us know!